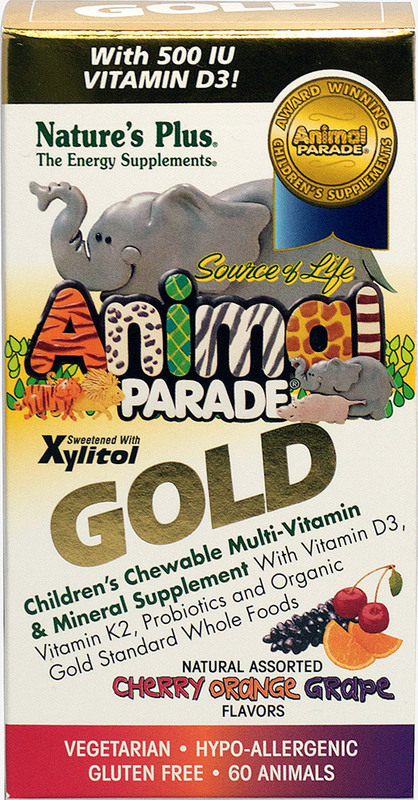 Nature's Plus Animal Parade Gold Children's Chewable multivitamins and Mineral Supplement contains vitamin D3, K2, probiotics and organic gold standard whole foods. Natural assorted cherry, orange and grape flavors. 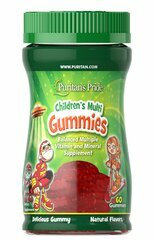 Vegetarian Gluten Free and Hypo-Allergenic.